Historians Phil Bonner and Tom Lodge explore why participation in the defiance campaign was so passionate in the Eastern Cape, while, in his personal memoirs, Raymond Mhlaba describes local factors that contributed to the fervent support it received. Port Elizabeth is generally celebrated as being more militant, more organised and a stronger bastion of the ANC than any other centre in South Africa. The scale of its participation in the Defiance Campaign is commonly cited as evidence of its special character and vanguard position. Indeed, the Defiance Campaign is often explained as the culmination of a barely broken tradition of resistance going back to the Frontier Wars, and a cosmopolitan attitude promoted by a long history of mission education. Nothing could be more mistaken. African political life was moribund in Port Elizabeth in the 1920s and 1930s. In 1940, the local ANC organisation was described as "absolutely dead except in name". What then led to the sudden explosion of ANC activity in Port Elizabeth? What changed it into the pulsation heart of the ANC? One major factor distinguishing Port Elizabeth from other urban centres was the permanency of its African urban population. In 1935 (and long before) 60% of its population was classified as fully urban and 29% semi-urban. Also, unlike other centres, this population worked overwhelmingly in unskilled labouring jobs, and at wages that were the poorest of six major urban centres in South Africa. A 1946 survey showed its Africans to be one of the most proletarianised in the country but also one of the poorest. This presented a rich recruiting ground for political and other organisations. The groups that capitalised on this and cemented Port Elizabeth's African population into the force that it became, were a new generation of trade unions and revitalised South African Communist Party. 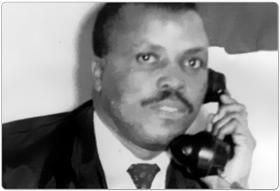 The Trade Union and CP leadership moreover was primarily African, in contrast to any other part of the country. Local militants like Tshwula, Raymond Mhlaba, and Mkalipi personify this new breed of men. These fused worker and township struggles in PE from 1944 on, and transformed the local ANC. These leaders also capitalised on a new phase of provocations of the African population beginning in 1950 and 1951. Port Elizabeth municipality had operated a relatively benign and liberal system of "native administration" up to this point, when it was forced to shift direction by the recently elected Afrikaner Nationalist government. It had not enforced pass controls - a song penned in the 1940s, entitled Ebhayi, celebrated the absence of pass laws in PE, proclaiming: "When you arrive in Port Elizabeth your anxiety disappears." Also the domestic brewing of beer was legal, which partly removed one of the major grievances of Africans in other urban centres. These policies were reversed in 1951-2, causing huge bitterness among Port Elizabeth's African population. This fusion of constituencies and concerns was matched by a fusion/diffusion of new organisational practices. Raymond Mhlaba asserts that New Brighton in Port Elizabeth was organised according to a cell plan and street committees well before the Defiance Campaign, and that the Women's and Youth League of the ANC were fully integrated into these activities. Indeed, he claims that this was the blueprint for the "M" or "Mandela Plan" of street organisation, which was then taken up by the central leadership and exploited, but never properly taken up by the rest of the country. In this and so many other ways Port Elizabeth was thus unique. Tom Lodge, an authority on the black South African political history, strongly believes that the largely working-class character of Port Elizabeth's workforce, local leaders' ability to organise mass political resistance, working relations between the Communist Party, ANC and trade unions (membership cut across these bodies), and the initial local authority's paternalistic character all contributed to the "dramatic" support for the defiance campaign. "To recapitulate," he writes, "the Defiance Campaign succeeded in arousing massive support in Port Elizabeth for the following reasons. A rapid expansion of its African population in the 1940s introduced socio-economic tensions which were beyond the capacity of a paternalistic local administration to alleviate industrialists who were the powerful voice in the local economy favoured an urbanised workforce and a floating pool of labour. "Great poverty, comparatively few restrictions and a sizeable African industrial workforce led to the development of a powerful African trade union movement which deliberately concerned itself with issues well outside the scope of conventional economistic trade unionism. By 1950 politics was in the hands of working-class leaders to a degree which clearly distinguished Port Elizabeth from any other centre. As more and more restrictions on African mobility were imposed elsewhere in the Cape, so - in the last years before the campaign - Port Elizabeth became more crowded and life more intolerable. In 1952, there appeared the new threat of municipal influx control. Drawing on a well-established local tradition of mass protest, the African community was able to link parochial concerns with more general political ideas: popular politics transcended the usual anxieties over substance which predominated in everyday life." In his personal memoirs, Mhlaba recounts at length the factors (similar to those provided by Lodge) that contributed to the "dramatic" support for the defiance campaign. "My father and I chose to go and work in PE [Port Elizabeth], although East London (EL) is nearer to Fort Beaufort. The growth and development in the manufacturing industry were greater in PE than in EL ... As a centre of commercial capital, PE developed a thriving secondary industry ... I did not have to carry a pass nor was I expected to produce any kind of written permission when I arrived. This was because PE did not have the restrictive laws that were enforced in other parts of the country. "Clifford Dladla, who was also a staunch unofficial trade unionist, gave me a booklet to read. The title of the booklet was Why Are You Paid Low Wages? ... I discussed the content of the booklet with Clifford. He invited me to a gathering in town. This turned out to one of the regular Sunday morning meetings of the Communist Party of South Africa (CPSA) ... On May Day, I joined the Party officially ... Other Party members encouraged me to join the ANC (African National Congress) and I did in 1944 ... At [the] ANC meetings, we held political discussions on topics that affected people on the ground. We dealt with daily difficulties such as rent, sewage and transport. In this way, the ANC made sure that it stayed in touch with Africans' needs. The ANC began to strengthen the people's political convictions on justice and democracy. It slowly but surely won the confidence of the PE residents. They started coming to the branch meetings regularly and in big numbers ... A pattern of overlapping membership began to emerge during this period. Political activists such as Gladstone Tshume, Clifford Dladla, Reuben Mfecane, Sam Ntunja, Adam Mati, Caleb Mayekiso, Vuyisile Mini, Wilton Mkwayi and I were involved in the trade unions, the ANC and the Party. This pattern was not limited to African political activists. There were coloured and Indian activists. "It was during the mid-1940s in PE that racial and class co-operation against white government was consolidated. This co-operation was evident in the protest action against a rent increase that was organised in 1945 by the PECC in McNamee ... The issue of rent dragged for more than a year ... The PECC finally dropped the idea of increasing the rent in McNamee. This was possible because of the support that the anti-rent increase campaign enjoyed. The campaign brought together virtually all the progressive formations in PE. The ANC, APO (African People's Organisation), CIC (Cape Indian Congress), SACP, New Brighton Civic Association and trade unions all worked together to support the McNamee community. This joint effort signalled the beginning of a culture of militancy and popular support for the political struggles against injustices that the white government - local, provincial and national - imposed on the people." But, for Mhlaba, mobilisation of other sectors in the community - that is, the youth and women - also assisted to drum up support for the Defiance Campaign. "Our political gatherings were not always conducted in the open ... We went to fight people where they lived, worked and socialised ... In New Brighton there was a centre that most of the youths frequented. We went there and interacted with them during their training in boxing, wrestling and weightlifting. Sometimes we played rugby with them. We encouraged them to participate in sport. Gradually we introduced them to politics and trade unionism. "It would be false to suggest that only men were active in politics in PE ... We worked with powerful and dedicated women such as Frances Baard, Florence Matomela, Hilda Tshaka, Talita Chaba, Nomalanga whose surname escapes me, Nondwe Mankahla, Lilie Diedericks, Crissy Jason, Sophie William, Stella Damons, Notsomi Mazangwa, Nompi Njongwe, Nontuthuzelo Mabhala and Mrs Qhoyo. "The ANC called for a National Day of Protest against the Suppression of Communism Act. Together with Florence Matomela, Frances Baard and other leaders of the ANC, ANC Youth League and ANC Women's League, we worked hard and organized PE residents to support Dr Moroka's call."